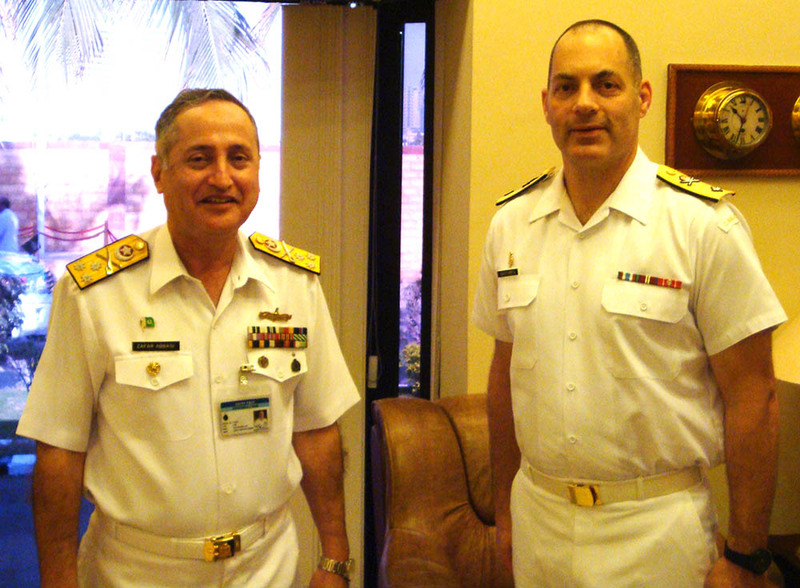 The Commander of Combined Task Force (CTF) 150, Commodore Brian Santarpia, met with senior leaders in Pakistan’s maritime security agencies in Karachi during a two day visit on 8 and 9 December 2014. Pakistan remains a key contributor of ships, aircraft and headquarters staff to Combined Maritime Forces (CMF) operations, having joined it in 2004. The visit occurred a few days after Pakistan completed its seventh tenure of CTF-150 command, when Commodore Sajid Mahmood SI(M) Pakistani Navy handed over command to Canada on 4 December 2014. During the visit, the CTF-150 delegation met with senior officers of the Pakistan Navy, Coast Guard, Maritime Security Agency, Joint Maritime Information Coordination Centre, and Anti-Narcotics Force to enhance interoperability and cooperation between Pakistan’s maritime security institutions and CTF-150 in countering the terrorism at sea, particularly in the North Arabian Sea and the Gulf of Oman.